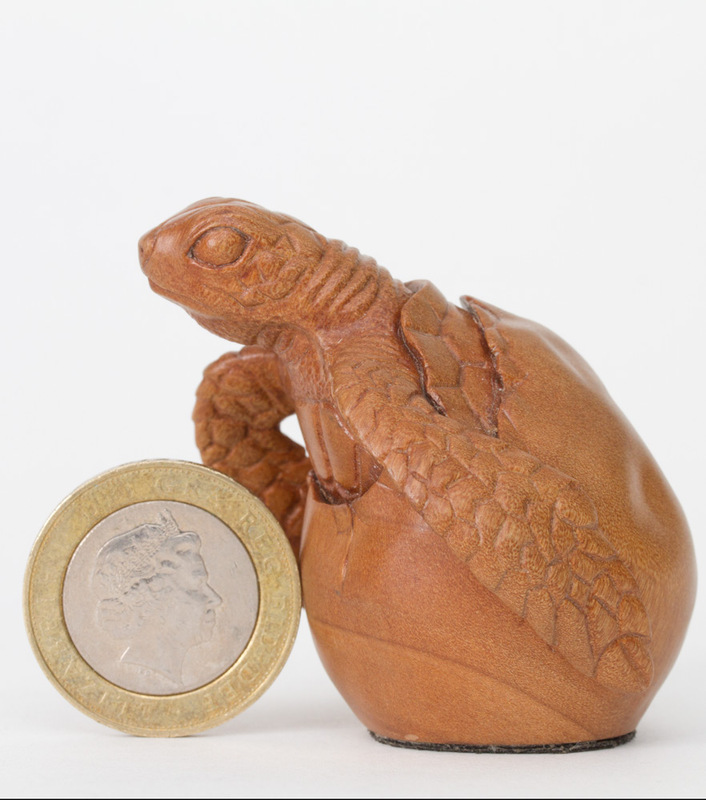 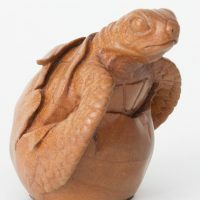 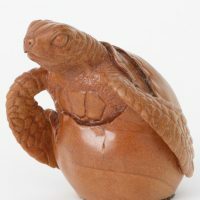 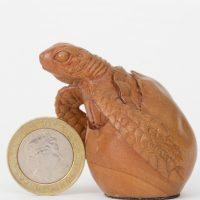 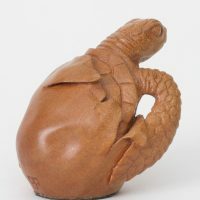 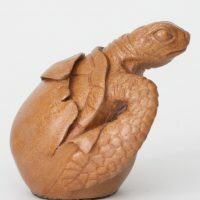 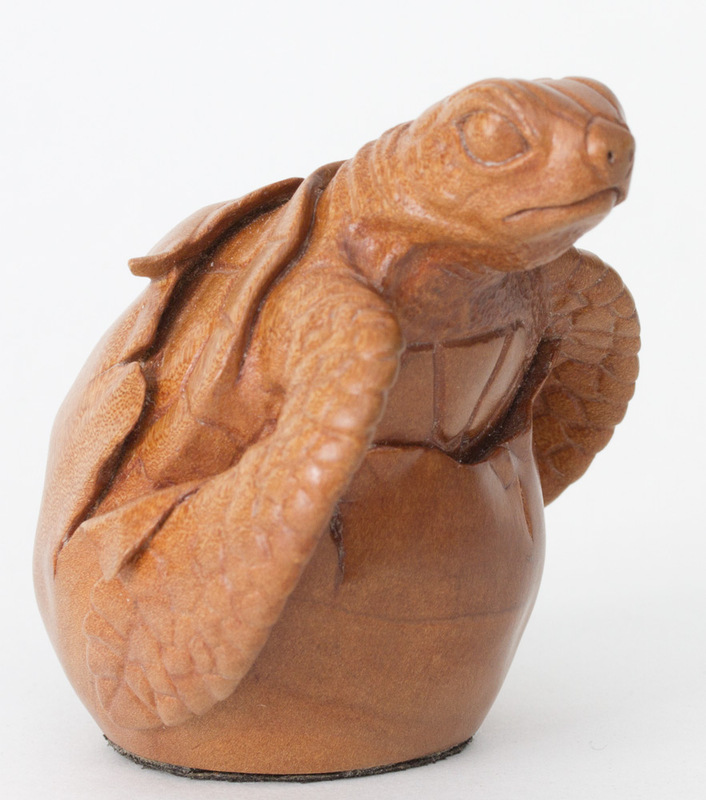 Hatching Turtle Carving by wildlife artist, Bill Prickett. 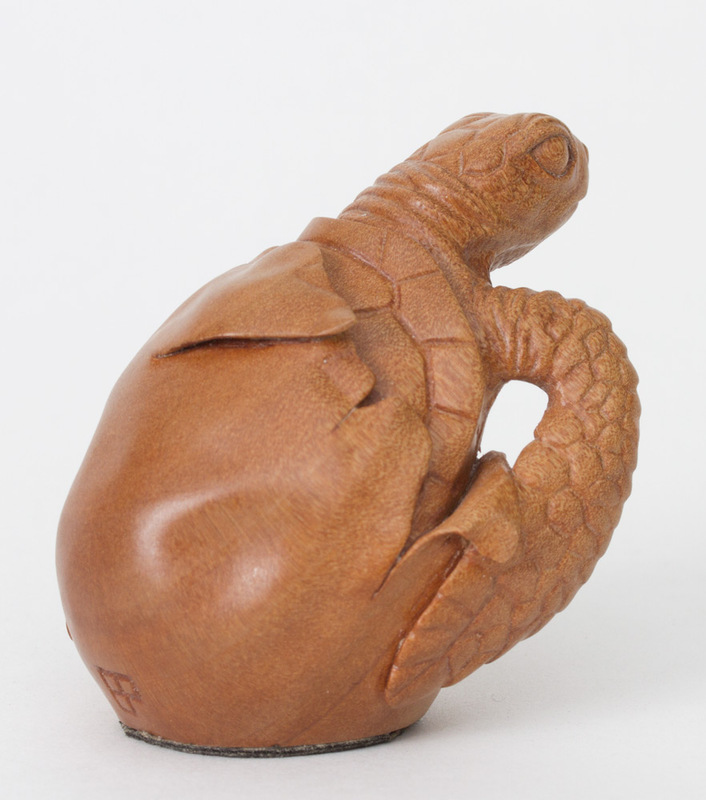 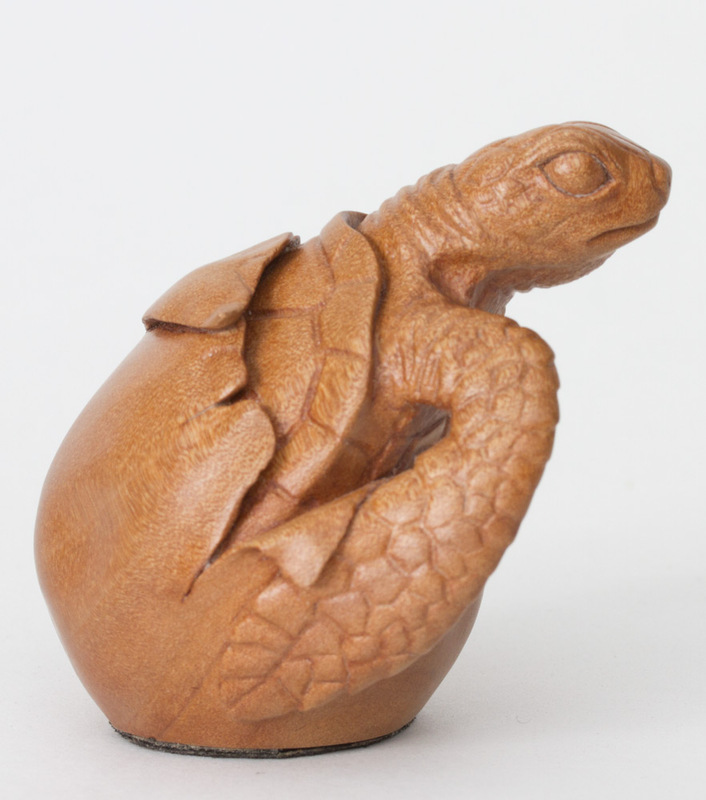 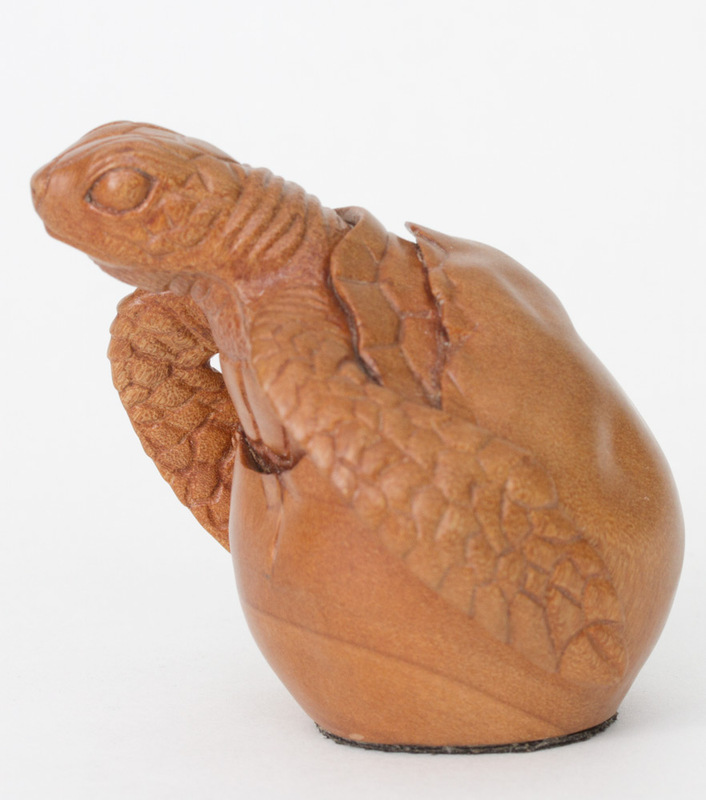 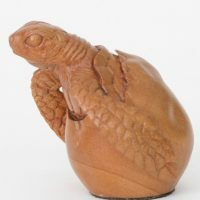 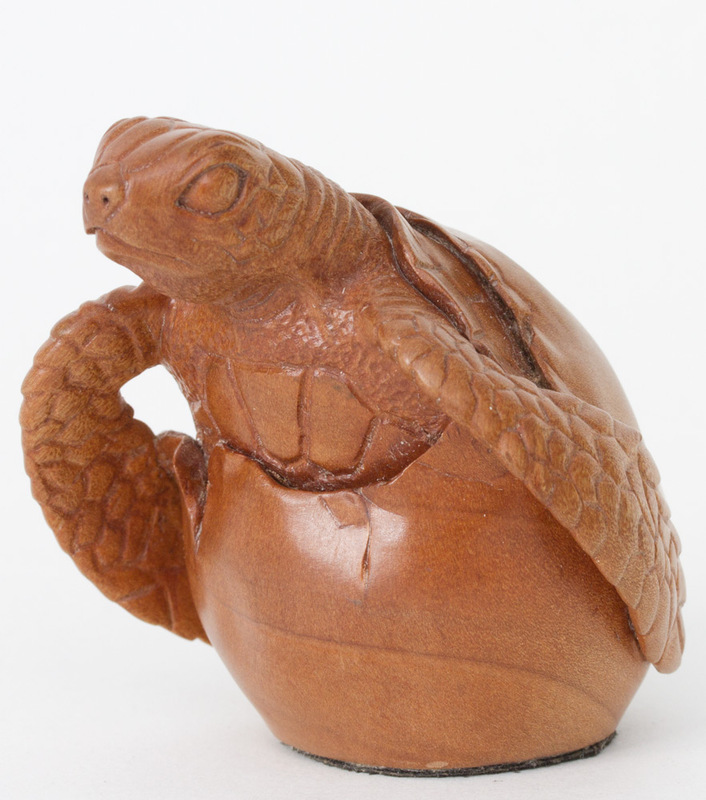 This original carving of a baby, green turtle hatching from its egg was carved from a single piece of pear. 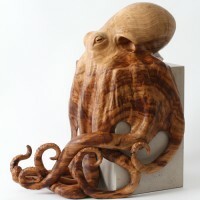 Pear wood (as with most fruit woods) has a very fine, close grain that makes it ideal for carving small, detailed pieces from. 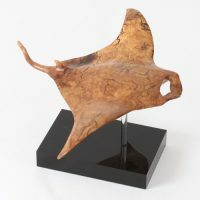 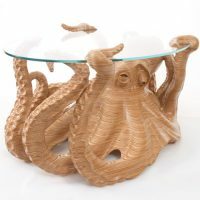 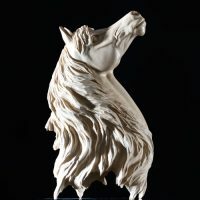 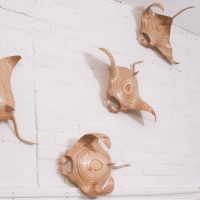 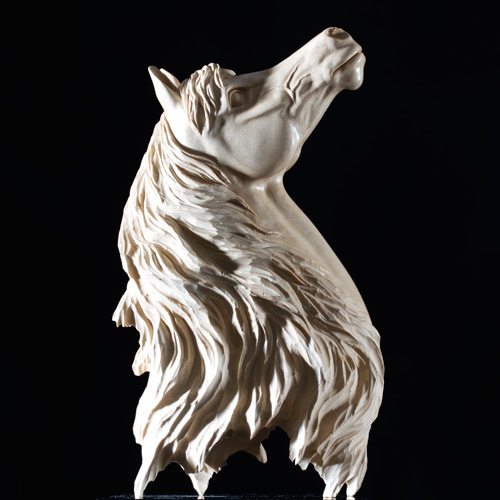 I carved this original piece from a single piece of pear wood, and based it on my encounters with these fascinating animals on the Great Barrier Reef, during expeditions to North Australia. 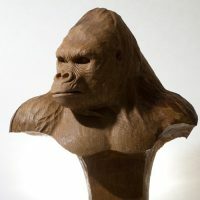 From this original I have taken a mould and have produced the solid bronze that can be seen here.